The judicial recount means the results of the Sept. 24 provincial election remain virtually deadlocked at 22 seats for the Progressive Conservatives, and 21 for the Liberals. A spokesman for the chief electoral officer said the Saint John Harbour recount concluded Thursday the Liberals still hold a 10-vote margin of victory. Judge Hugh McLellan oversaw the count in a Court of Queen's Bench courtroom that took the rare step of allowing television cameras in to record the process. 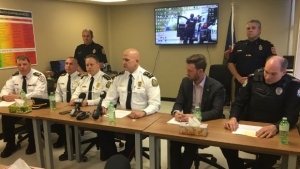 "We've come to the conclusion through this exercise that the votes counted for each of the candidates in Saint John Harbour on election night are in fact exactly right," said the judge. Progressive Conservative candidate Barry Ogden remained in second place, while Liberal candidate Gerry Lowe retained the narrow victory. The two men shook hands after the recount was complete on Thursday morning. However a lawyer for the Progressive Conservative candidate had alleged in a notice of application filed on Monday -- later withdrawn to await the results of the recount -- that about 40 voters cast their ballots twice in the Saint John district. On Tuesday, the lawyer said he may reinstate an application for the result to be thrown out by early next week. However, lawyers for the party weren't available for further comment following Thursday's recount. Recounts were also continuing Thursday afternoon in a Moncton court in an 11-vote victory for the Green party in the riding of Memramcook-Tantramar, and a recount in a 93-vote victory for the Tories in Oromocto-Lincoln-Fredericton was to continue into Friday. 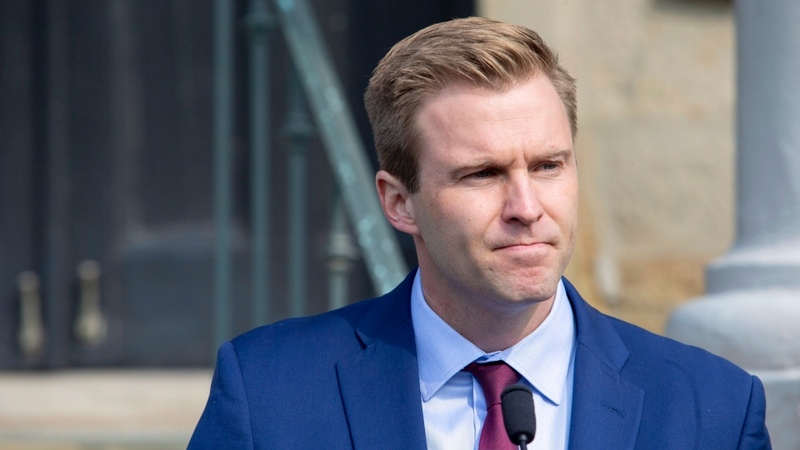 The Liberals have said they plan to proceed to a throne speech in just over two weeks, as the Tories have continued to call for Premier Brian Gallant to resign immediately and allow Tory Leader Blaine Higgs to form a government. The right-leaning People's Alliance has said it has an informal plan to support a Progressive Conservative government for up to 18 months. 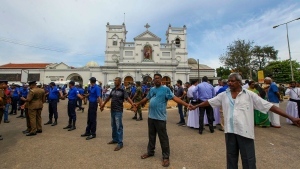 The Liberals have said they will not negotiate with the People's Alliance due to its linguistic policies -- which include scrapping the office of the commissioner of official languages. Political scientist Thomas Bateman said in an interview that if the Tories do manage to have the Saint John Harbour result thrown out at a later date, it strengthens their ability to take and hold power. However, he said he still expects Gallant to proceed with a throne speech on Oct. 23 with what will likely be a campaign-style document. As it stands, Gallant's ability to hold onto government is "unlikely," said the political scientist, adding it would require a Tory or People's Alliance member of the legislature to either break ranks or accept the role of Speaker -- who by convention would vote with the government. "I'm sure that Mr. Higgs is thinking 'We're just going through the motions here because this government will fall and we will become the government,"' he said. -- By Michael Tutton in Halifax.